When it comes to buying insurance, Brightway, The Kunie Lorenzo Agency, is your source for more choice and expert advice. Whether you’re looking for a competitive rate for Homeowners insurance or need help determining the right amount of commercial coverage, you’ll receive personal attention from industry experts committed to your satisfaction. Our office has more than 30 years of combined insurance experience. We are the type of agents who will remember your name and treat you with small-town courtesy. As a bilingual office (Spanish and English), we’re able to properly serve our entire community. 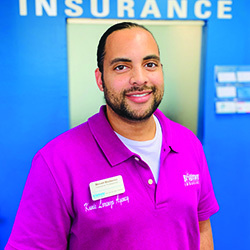 With a father, brother and sister who are all successful agency owners, Kunie was destined to become an Insurance Professional. This Southern California native began her insurance career at 18 when she obtained her Property & Casualty and Life & Disability insurance licenses. Kunie attended Imperial Valley College and San Diego City College, studying Business Administration and French. 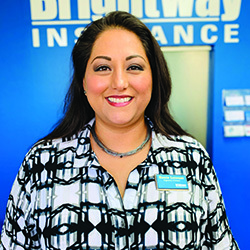 A short while after moving to Broward County in 2008, she decided it was time to return to insurance, and she became a Brightway Agency Owner. When not running her agency, Kunie is a devoted wife and mother who is very involved at with her children’s school and sports teams. She is also fluent in English and Spanish. Born and raised here in Southern Florida, Brent attended the Florida Career College where he obtained his bachelor’s degree in Business Administration. He earned his Florida insurance license in 2013. Brent takes a lot of pride in providing excellent service to all of his clients through open communication and prompt responses. He speaks both English and Spanish, and is always happy to answer questions! Originally from Colombia, Patricia came to the United States in 1994 with her two children. Before joining the Brightway, Davie team, she gained extensive insurance experience at several agencies in the Miami area. 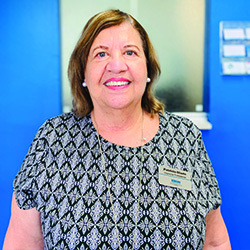 Currently the head of our Spanish department, Patricia provides friendly service when helping our customers find the right coverage for their needs. One of Patricia’s favorite hobbies is traveling. She has visited several countries and can’t wait to visit many more.